The axiom that "politics makes strange bedfellows" held true in Frankfort Friday, with the GOP-led Kentucky General Assembly walking back sweeping vetoes of the entire two-year state budget and tax bill by a Republican governor and Democrats in rare alignment with their chief political foe. The war of words between Gov. 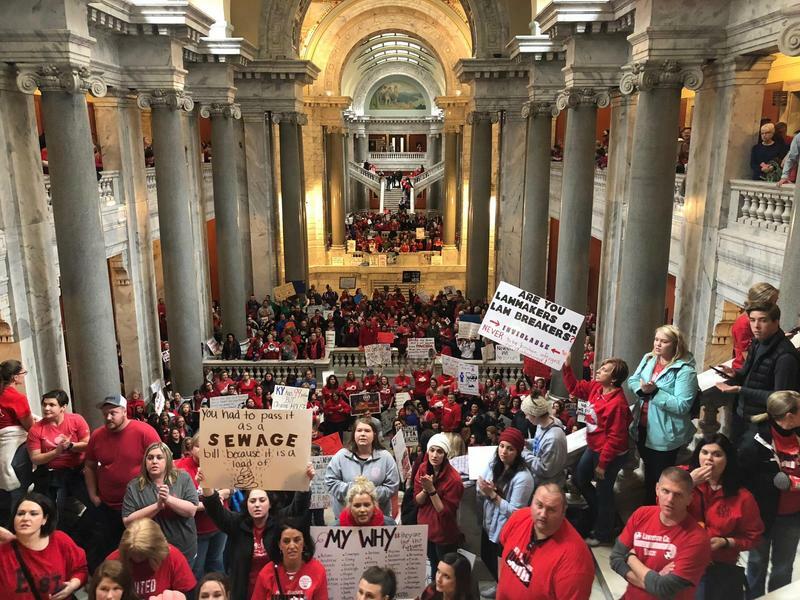 Matt Bevin and the statewide professional association representing teachers is escalating as the legislative session nears its end. 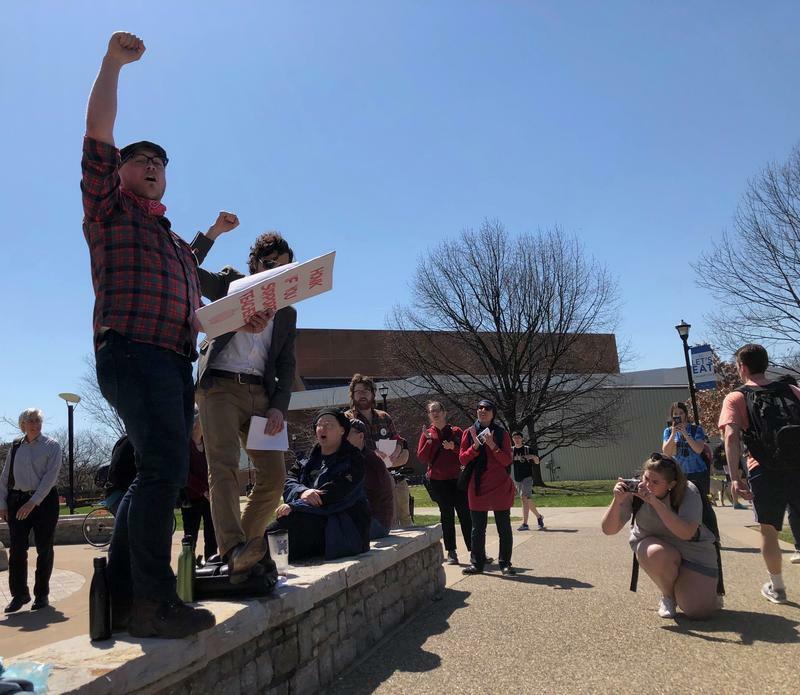 Meanwhile, educators and their allies continued staging walk-in protests Thursday ahead of a planned demonstration at the Capitol while rallies sprang up at public universities. 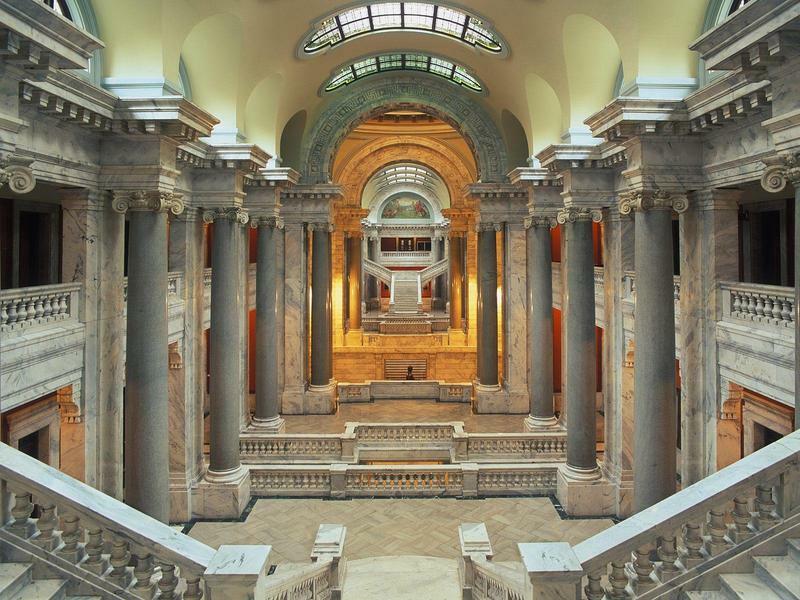 Kentucky's craft brewers are taking a glass-is-half-full attitude toward a bill allowing them to sell more of their beer at their own establishments. They like the proposed higher sales limits, but don't like that it still imposes a cap on per-customer purchases. 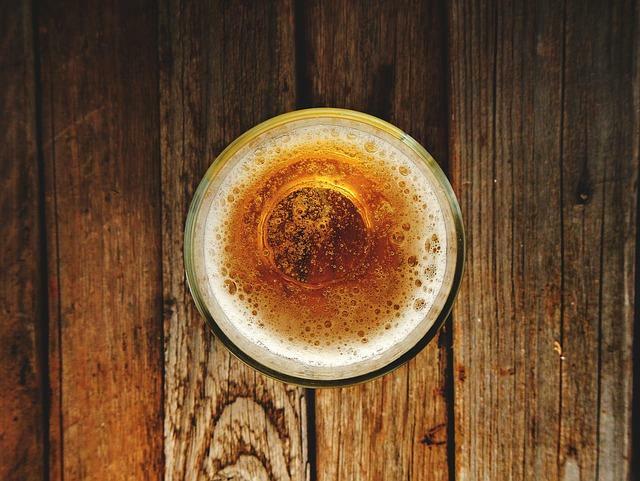 A Senate leader wanted to give microbrewers the full glass, but backed off his proposal. In just a matter of hours lawmakers will gavel in what looks to be a long and very difficult regular session of the General Assembly. They will try to deal with the public pension crisis and put together a two-year budget in addition to sorting out leadership positions in the wake of a sexual harassment scandal. 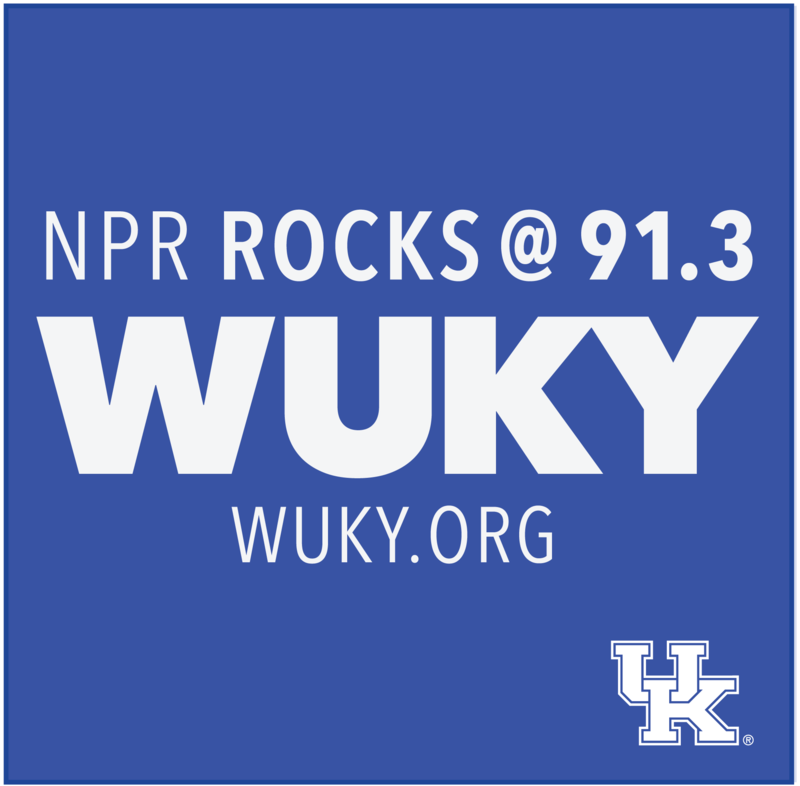 For a preview of coming attractions WUKY's Alan Lytle speaks with Laura Cullen Glasscock, editor and publisher of the Frankfort-based Kentucky Gazette.